This is a busy time of year, with a lot happening on the Gulf Coast of Florida. It is called "The Season" by many and this is when every day is filled with adventure. 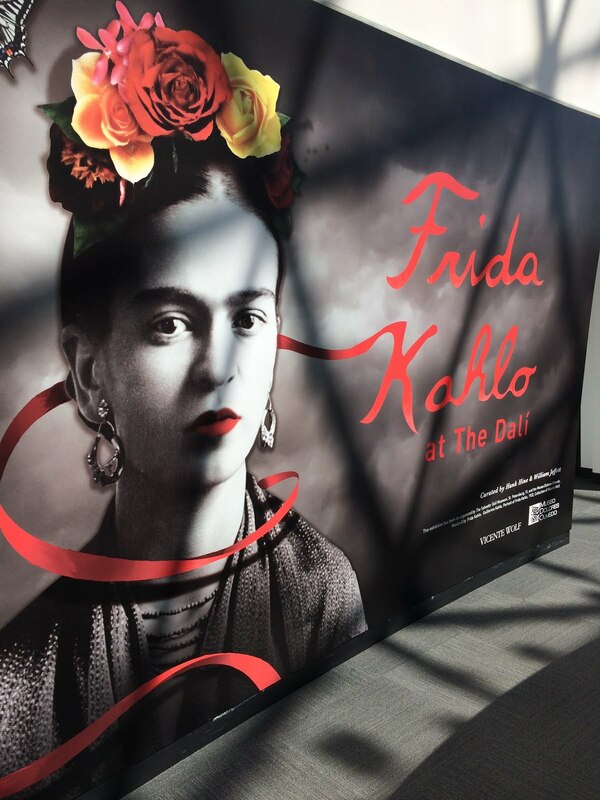 there is a small but interesting exhibit about Frida Kahlo. as well, and several paintings. if you happen to be in the neighborhood. There are exhibits nearby, along with many Home & Garden tours. 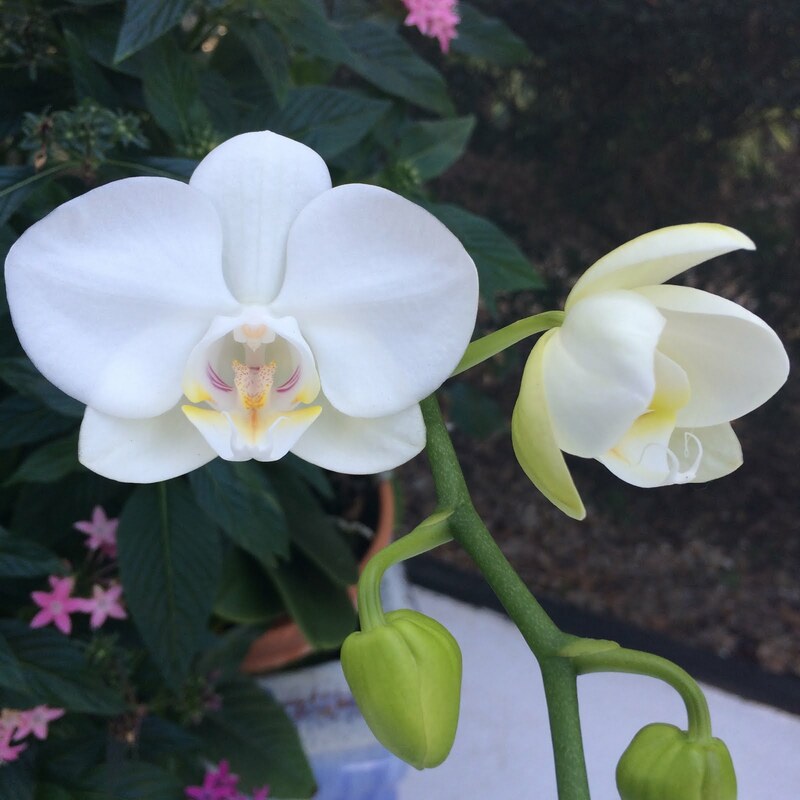 It is so much fun, to see how people work with their homes and their gardens, in this tropical climate. We get lots of ideas for our own home and garden, which is never really complete....there is always something to improve on. 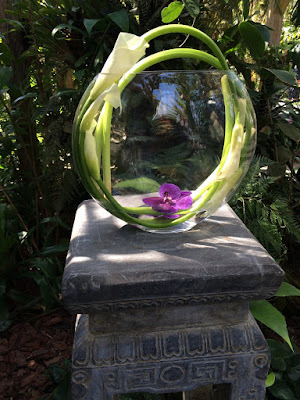 The Selby Gardens, in Sarasota is also having an exhibit of Marc Chagall's work, and they have turned the greenhouse into a beautiful space. It is well worth a visit if you are nearby. The Gardens are outdoing themselves, as they improve the orchid and epiphyte collection. 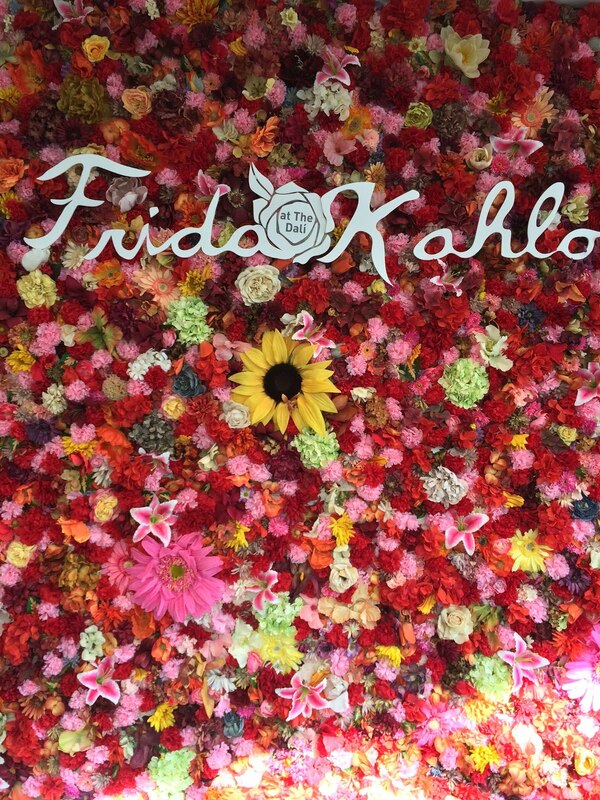 We pop in whenever we are in the neighborhood, and there is always something new and exciting to see. 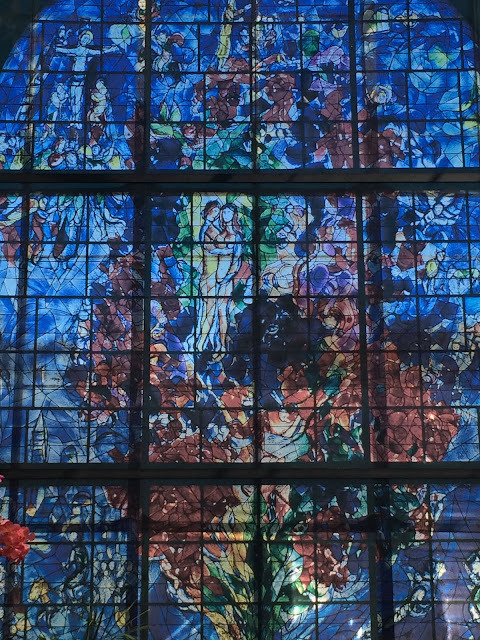 Replica's of Chagall's stain glass windows were along the glass walls. how he continued to express love in the most hateful of times. in much of his work. 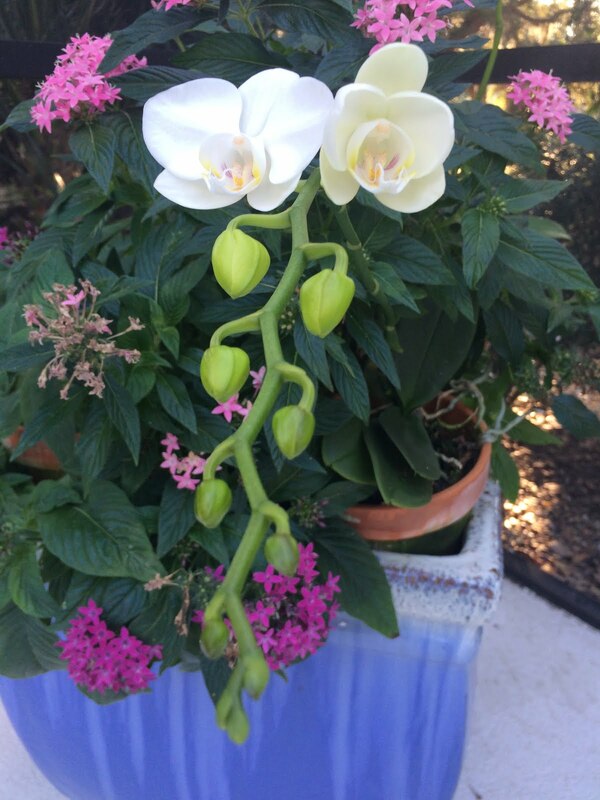 I wanted to share a bit of our garden, as we planted Orchids in pots and placed them in our planters, outside. We have three growing in one pot and the first on has bloomed. I thought that you might enjoy a peek at it's beauty. We are becoming Orchid crazy, and have enjoyed going to a few Orchid shows in the area. There is always something to learn. Oops....I should have trimmed the flowers before I took this photos. I have also been working on several things. One is a gift for a newborn, EB, that is a surprise for her, so I did not take a photo of it, as it was just for Momma, Daddy & EB. I have also been working on a wedding gift...and I will share that after the wedding. It's been fun to create for friends and family. 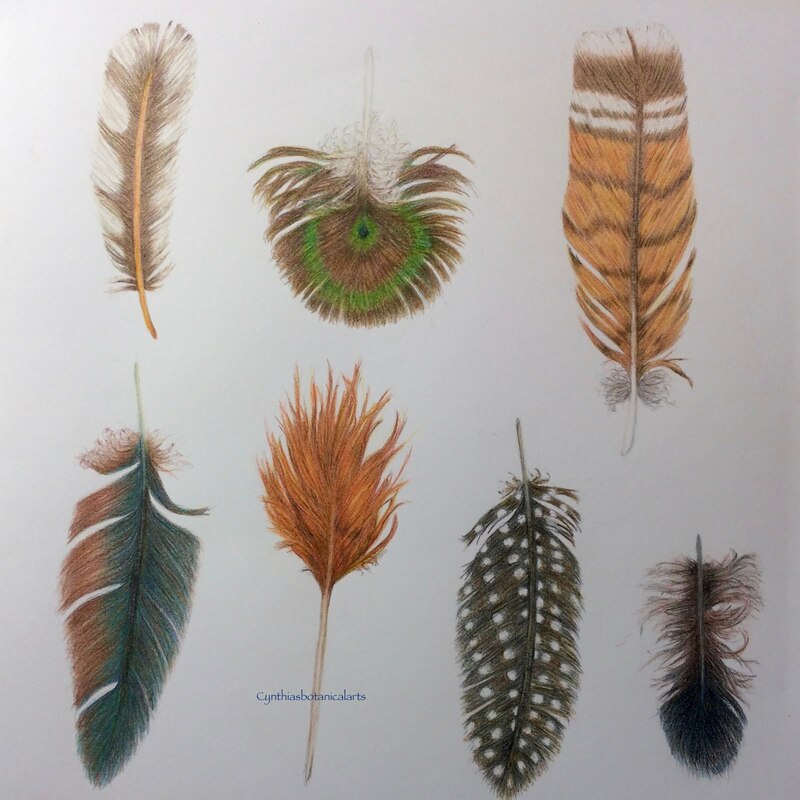 This last photo is of a piece that I gave to a good friend who moved back to Canada, recently, because of her health. Oh, how I will miss her and her husband. They are funny, fun, smart, and loving. I think of the quote about people coming into your life for a season or a reason....and this couple did just that...they were friends for a season or five...and definitely for a reason. I am grateful to have known them. This colored pencil drawing, now resides in Canada! I will be back next month...a bit earlier in the month, I hope. Time seems to get away from me, and before you know it, another month has passed. I hope that Spring is starting to open it's doors and windows for you....with crocus blooming or baby grape hyacinths peeking up. Soon, the tulips will show their beauty and the flower season will be off and running. Enjoy the warmer days (and nights). It's been windy here and exceptionally warm, so we are in a bit of a drought. Spring rain would be welcome. Peace be with you. We need more peace and love...quiet and caring....embracing everyone. Be kind to each other.... I have seen some mean spirited actions when I am out and about, and it solves nothing, so just BE KIND. Thanks....I feel much better now. See you soon.